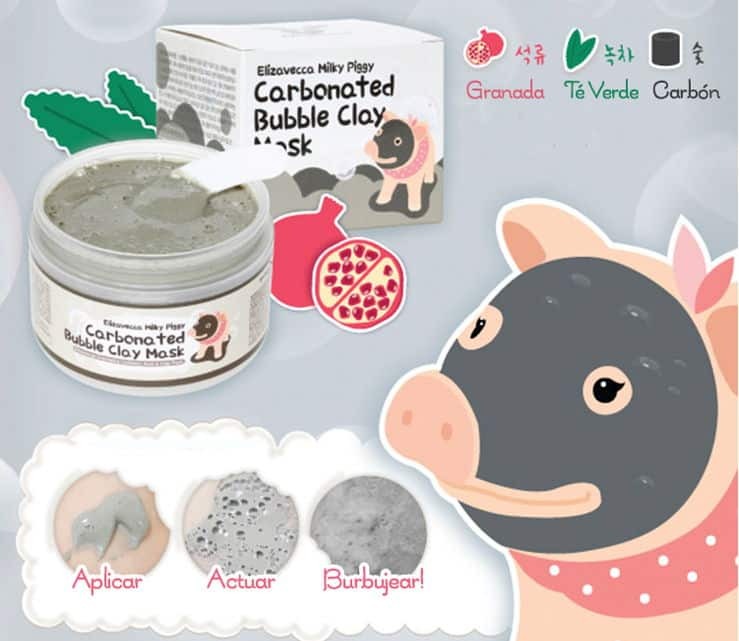 Milky Piggy Bubble Clay Mask Pack: Carbonated water + Collagen + Green Tea + Charcoal. Green Piggy Collagen Jella Pack: Collagen 50.000 mg.
Milky Piggy Sea Salt Cream: Whitening skin and wrinkle care. 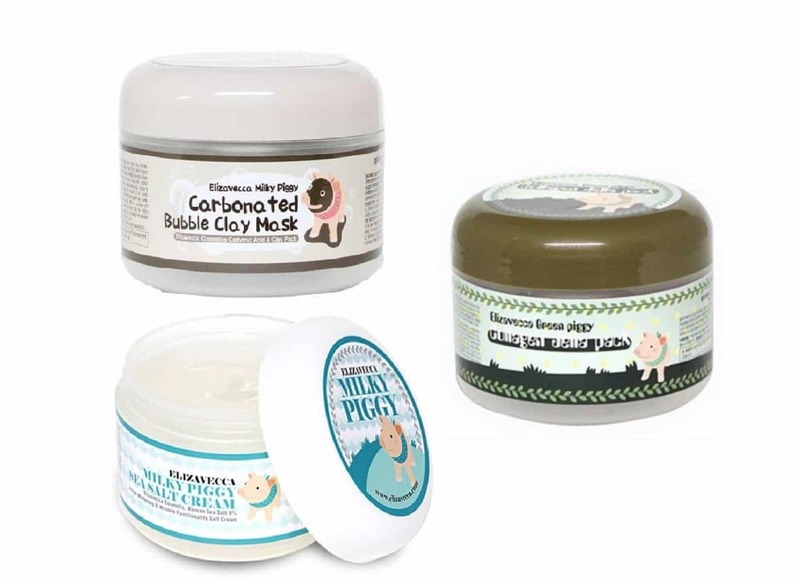 Milky Piggy Carbonated Bubble Mask. – Apply an appropriate amount to face except around the eyes. – After 3 – 5 minutes, sufficient bubbles explosion. – After massaging the face for 1 minute, rinse out with warm water. Green Piggy Collagen Jelly Pack. – Apply an appropriate amount to a clean face and massage. – After 20 minutes, rinse out. 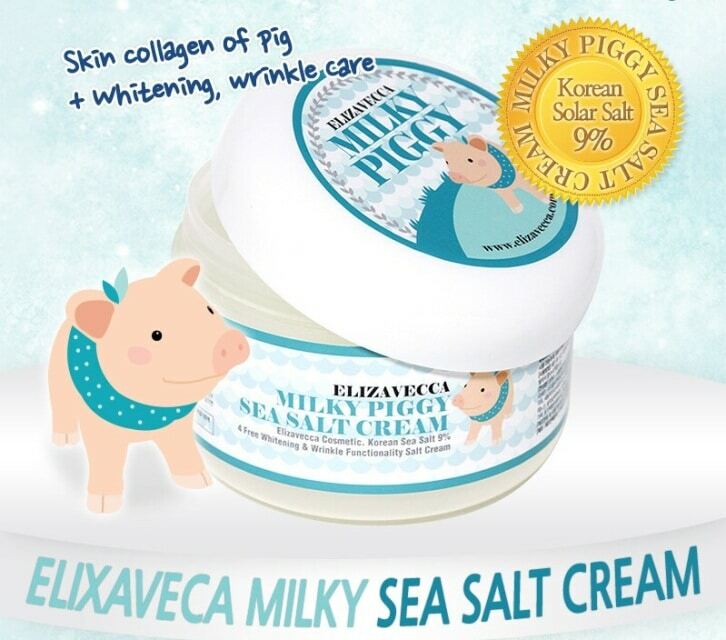 Milky Piggy Sea Salt Cream.